New Year resolutions are made to be broken, or so goes the adage. True to its word, I am nowhere there on any of my New Year resolutions. I think having a date of start to any activity, be it dieting or working out, just does not work. Setting a date in the future for something that you believe is for your good, is a way to procrastinate the thing. Isn’t helping anyone. 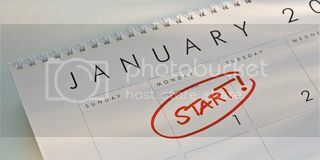 If you are actually kicked about starting a good habit (the so called resolution) there is no better than time to start doing it, than right NOW! You are at your peak motivation level right now and getting to do the good thing right now will hold you in good stead to inculcate the habit. These are all reasons we give to ourselves to justify our procrastination. To top it all, more often than not, a majority of us then justify to ourselves why we should not be doing a particular thing after the date of start has gone by. “Oh! I had to quit smoking from Jan 1st 2017. It is already 10 days past that date and I am nowhere there. Chuck it! Will quit from Feb 1st”. Or worse, “Will quit in 2018! 2017 is too hectic and important a year to be going through all this heartache and mood swings”. Classic ways of procrastination. Procrastination – One big reason why we don’t achieve most of the things we set out for ourselves and attain a mediocrity level in most of what we do! So this year, unlike all my previous years, I have decided not to have any New Year resolutions. I would rather have plans. Plans for the year. This has been working at a very sub conscious level over the years. Plan for the month and sub plans for the week. Targets for the period and clearly defined milestones and goals to be tracking against them. Yes, there is an element of time again, but this time with a timeline. With targets and tracking achievements. This should help overcome the inherent procrastination. I am now completely corporatized! Happy New Year folks. Do let me know of your plans for the year. medyum efendi hoca hemen arayın tüm sıkıntılarınıza kesin sonuç veren medyum hocalar.